Yeshua is the prophet like Moses as described in Deuteronomy 18:15–22. His multiplication of bread for the multitudes was to show his connection to Moses. Jewish expectation says that just as Moses had brought down bread from heaven, so would the Messiah. But something exceptional took place after Yeshua fed the multitudes. At each of these miracles he had his disciples collect the leftovers of bread from the crowd. In each instance the leftovers were many times more than the original substance. Why is this? Commenting on the miracle of manna from our Torah portion, Malbim, a nineteenth century rabbinic commentator from the Ukraine, suggests that the lesson of the manna was to teach the Israelites a spiritual lesson. Bread is normally made from a grain such as wheat or barley that needs to be threshed and winnowed before the grains are available for grinding into flour and ultimately used to make the bread. Unlike bread, however, manna was not made from grain. Therefore, there is nothing wasted from it. It is totally used and absorbed into the body. Many times we come to Torah or to Yeshua and we seek, study, and pray to receive a morsel from Heaven. But too often we think we have to thresh and winnow what we receive because it’s not what we think we need. We don’t need correction, or we don’t need this or that because we feel that we already know it. But by doing so we are actually discarding divine revelation and a vital component of our spiritual nourishment. 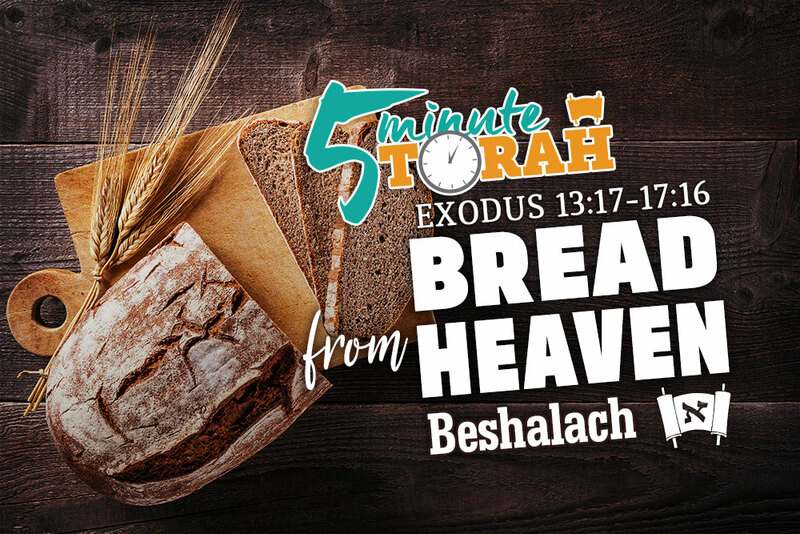 Although the manna given to the Children of Israel in the wilderness was miraculous and exactly what they needed, Yeshua is the true Bread from Heaven and can fulfill a person even more than the manna that sustained them in the wilderness. There is nothing leftover in him. When Yeshua gives us his manna we should consume it fully without wasting any of it. It is all that we seek and all that we need. But only for today. Tomorrow he calls to us to receive from him the Bread of Heaven once more. And so our lives should continue until we meet him face to face in his Kingdom.